« Mario Got into my House? Nom nom nom this is good. 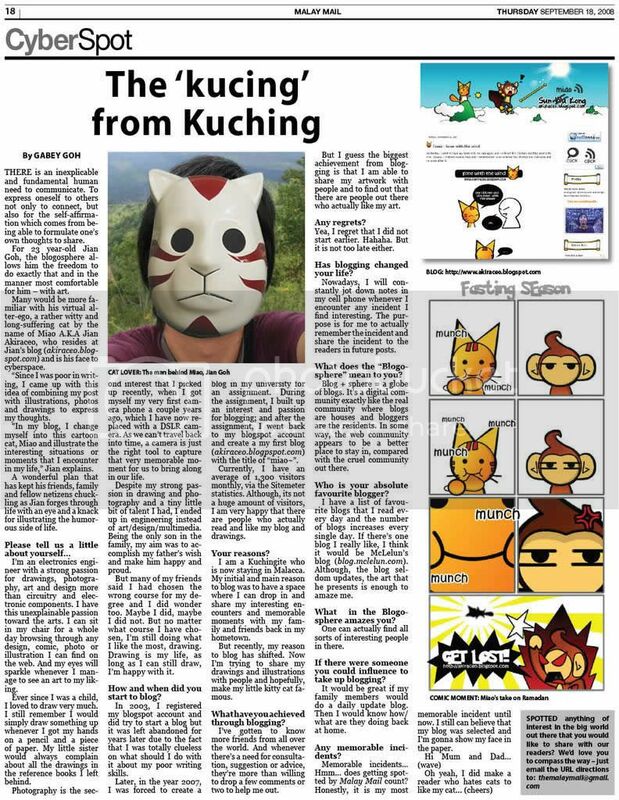 Posted on April 30, 2010 by Jian Akiraceo. 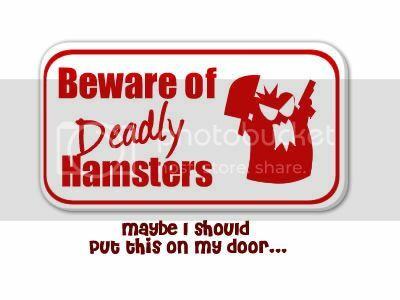 This entry was posted in Room and tagged anti theft system, beware of deadly hamsters, burglar, locks, thievery. Bookmark the permalink. kiamsap but very funny used of words. ‘anti theft system’ lol!! btw, deadly hamster work for your door room miao. =P put it up! I think the previous build in lock is way better than this..
wahahaha, i want that signage…so cool n geng! 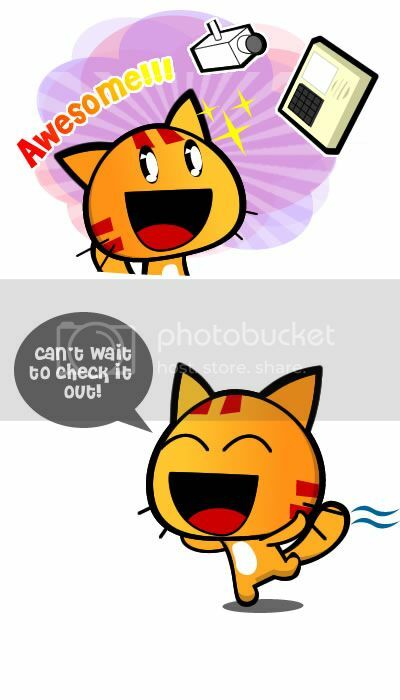 ur house owner is a lil retarded…taktau ada apa dalam otak dia~! alternatively. 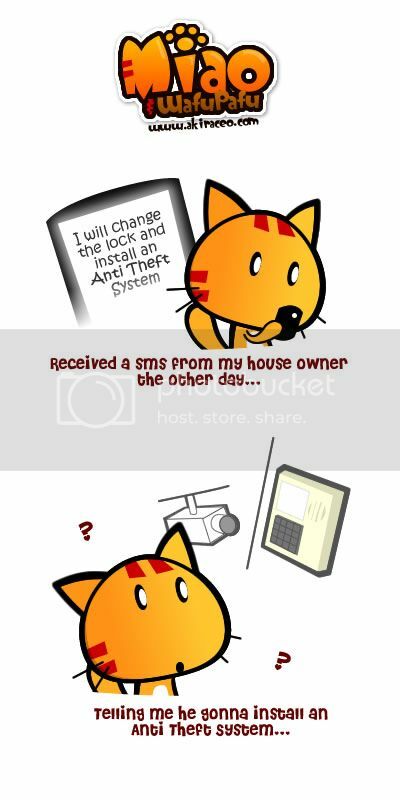 you can install alarm system. might be safer. Hahaha.. you tell that to my owner..
At least he didn’t glue the door shut! Hahahahaha…. FYI – No matter how good/strong the lock, there are ways of getting thru any door. cool plus put beware of GHOST hamster. Lol, what a nice term, “anti-theft system” for a lock. He might give me an ink pad and a paper. :/ for my fingerprint..
neh… install those security camera (fake one). put one AA battery and the LED will blink blink blink. Looks like real security camera tu. My dad bought his for RM10.. Made in China one. Maybe can keeps lazy thief away..
wahhahahaha, put that sign up!! big chain +big lock still dangerous leh…. now days thief can breack the chain n lock using chainsaw……. It just a simply normal lock. put the sign up!! put it up! oh wait, will this attract people more to your door ..
Wahhh there’s a thief in your office?? 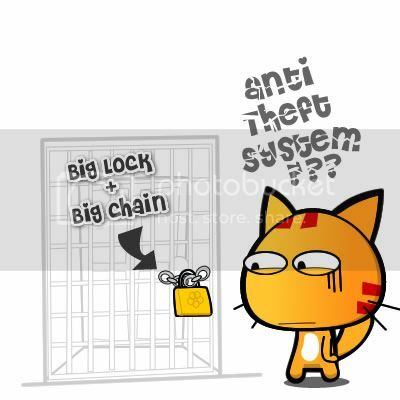 Hahaha…… u should do that….. i think better then the stupid big lock……. >.<"
some anti theft system that is..
maybe u should hide the stuff in your rooms now instead of leaving out in the open..
Yea.. I think I should..
That’s advanced anti theft system!! p/s : put up the wafupafu gang sign! so cute!! It’s so troublesome to open/close the gate..
i dont think theft so anti with that anymore.haha! Hahaha seriously want a copy of it? Hey, I think you should start looking for investor and merchandise your design. The Deadly Hamster is really not bad. Can print on T-shirt or a do not disturb sign. If you want to buy a car, you will have to receive the mortgage loans. Moreover, my brother all the time utilizes a credit loan, which occurs to be the most firm.